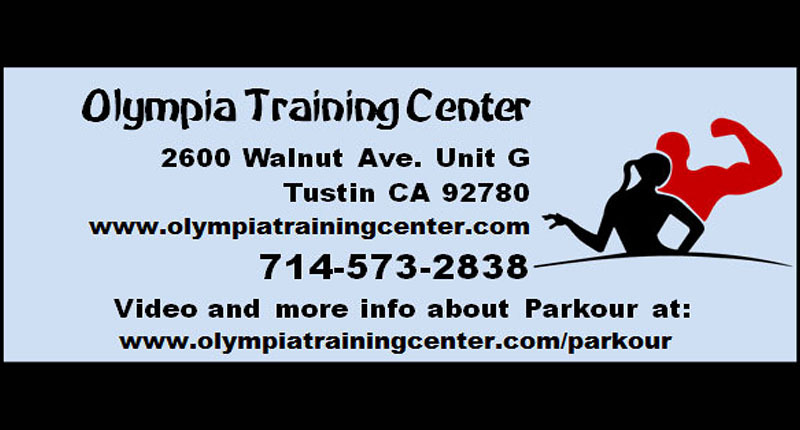 The Olympia Training Center is Orange County’s first academy of Martial Arts, parkour and Freerunning. Our goal is to develop extraordinary physical abilities that can be used in a realistic environment and in our daily lives. Our classes offer everything from basic self-defense, Freerunning and Parkour movement to American Ninja Warrior preparation obstacles and MMA competitive sparring. Orange County.